When spouses not only agree to be divorced, but also on the reason for the divorce and terms of the divorce, they can file an uncontested divorce. An uncontested divorce is typically cheaper and quicker than a contested divorce, which is one in which the spouses dispute some or all of the issues of the divorce. However, Mississippi law is strict when it comes to divorce and, depending on the circumstances, a spouse can prevent the completion of a no-fault divorce by contesting it. Typically, an uncontested Mississippi divorce is one in which spouses file their divorce petition with the court based on irreconcilable differences. Mississippi allows divorces to be granted based on irreconcilable differences, which is Mississippi’s no-fault ground for divorce, only if both spouses agree to this ground and the divorce. 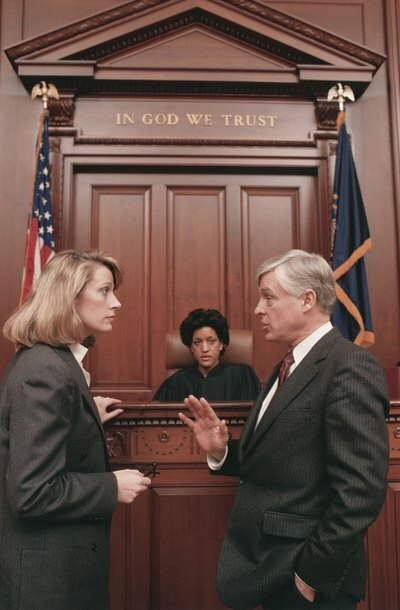 Neither spouse can get a divorce based on irreconcilable differences if the other spouse disputes, or contests, the ground by claiming the marriage is not broken. Before a judge can grant a divorce, Mississippi law requires a 60-day waiting period after the divorce is filed. During this waiting period, spouses getting an uncontested divorce can negotiate and draft a custody and property settlement agreement to submit to the court. At the end of the waiting period, spouses present their agreement to the court for approval. However, at any time before the divorce is granted, either spouse can revoke his consent to the divorce; for example, by refusing to sign the settlement agreement, which would then halt the uncontested divorce process and force the case to go to trial. At the end of the waiting period, the spouses must submit their settlement agreement to the judge for approval, and the judge may require an informal hearing. If one spouse signs the settlement agreement but then changes his mind about agreeing to its terms, he may revoke his agreement in various ways. For example, he can appear at the hearing and request a trial. If spouses agree to the divorce but disagree about some custody or property settlement terms, the judge will require a hearing to receive evidence to decide those issues. The spouses can form a written agreement addressing the issues on which they agree and leave the rest of the issues for the judge to decide after the 60-day waiting period has passed. For example, if the spouses agree about custody and property division but don’t agree about alimony, the judge can decide the alimony issue and simply approve their agreement on the other issues. Adams & Edens, Divorce Law Blog: What Is a No-Fault Divorce?